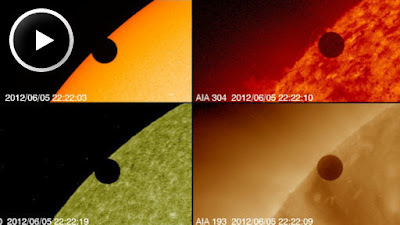 It was also the first time spacecraft has taken Hubble-quality photos of a Venus transit.NASA's Solar Dynamics Observatory recorded the event from geosyncronous orbit 36,000 km above Earth's surface. Who are the three that think this is fake?! ?